IFS has announced the appointment of Darren Roos from 1st April 2008. This is the second technology firm in 24 hours to announce a change of CEO. Xero appointed Steve Vamos in a similar announcement. At IFS this will bring to an end the leadership of Alastair Sorbie after 12 years as CEO. Sorbie has led IFS through many changes, it now has a cloud-based ERP solution, built on the Microsoft Azure platform. He also led the company through its acquisition by private equity firm EQT. 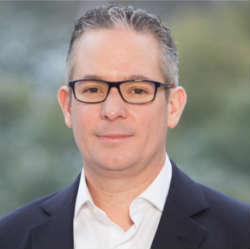 Roos spent nine years at Software AG before moving to SAP where he spent four years in various leadership roles. He left SAP in January as President SAP ERP Cloud and will bring a wealth of experience to his new role. 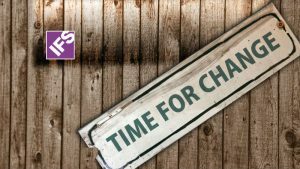 The change may see IFS competing more directly with SAP ERP solutions such as S/4 HANA Cloud, BusinessByDesign and BusinessOne. Roos commented: ”I am excited and privileged to lead IFS in this next chapter. IFS is an incredible business! The combination of its strong ERP heritage, leadership in EAM and FSM, and exemplary customer satisfaction gives it the perfect platform to play a dominant role in the enterprise software industry. Like Xero, IFS has brought in a new CEO to help the company scale. Sorbie led a successful transformation modernising the company from a legacy on-premises vendor to one that is cloud enabled and recognised as one of the more innovative vendors.